It's that time of year again folks. Fall is upon us as the Summer draws to an end--School is now back in session-- The nights become cooler and the leaves begin to change color. And oh yeah--it's time for over five months of action-packed NFL Football to begin!! The only problem is that so many things are unpredictable in the NFL from year to year who knows what to expect for the coming season? Well, have no fear...LakeShow T is here. With the 2010-2011 NFL season set to get underway, I have looked into my crystal ball, drawn from the ole' memory bank, and performed some research. 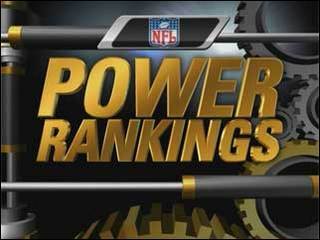 From that, I composed my detailed and all-inclusive NFL power rankings of all 32 teams. Where does your favorite team rank? Feel free to add your thoughts and enjoy! Who Will Win The 2010-'11 Super Bowl? Can Favre Create One More Magical Chapter in '10-'11? 1. New Orleans Saints – In so many cases, teams that win the Super Bowl or win their conference have a let down the following season. I do not believe that will be true with this team. The Saints are talented and return almost all of their Super Bowl team from last year. Although their defense was not highly rated during the regular season last year, it was downright nasty in the playoffs and there is no reason to believe this should not be a top tier all-around team for this upcoming season. A schedule that includes two games each with the Panthers and Buccaneers, in addition to games against the Rams and Browns will only help their cause. 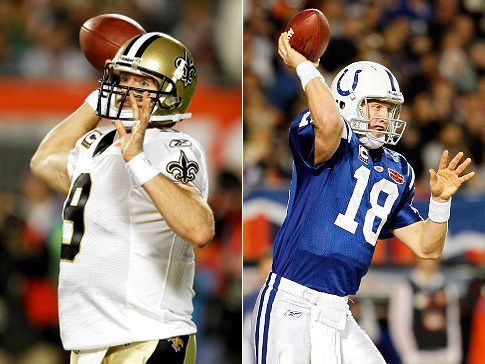 How could I forget-- that Drew Brees guy is pretty good too. 2. Indianapolis Colts – As long as Peyton Manning is at the helm, the Colts will be one of the top tier contenders for the Super Bowl year in and year out. The Colts have not won less than 12 games since 2002. Furthermore, they have won less than 10 games only one time in the last 11 years. That kind of success is virtually unheard of in a league that has had so much parity. The return from injury of wide receiver Anthony Gonzalez and former NFL Defensive Player of the Year Bob Sanders, along with a fairly easy schedule, will only help the Colts’ cause to be one of the elite NFL forces yet again this season. 1) The Vikings are returning virtually the same team that was one play away from representing the NFC in the Super Bowl last season. 2) Soon to be 41 year old Brett Favre is returning for his 20th season and is coming off arguably his best season with 33 TD/7 Int. Regardless of what people make of his age, the upgrade of Favre from Tarvaris Jackson is the difference from being a Super Bowl contender to being a mere 50/50 proposition of making the playoffs (and losing in the first round). 3) The Vikings defensive line (anchored by the Williams wall) has dominated opposing offenses for half a decade. This Defense will flat out get to the opposing quarterback and shut down the opposing running game like none other. 4) Adrian Peterson. If he can get over his infamous bouts of fumbleitis, AP/AD is bound for a monstrous season now that former 3rd down back Chester Taylor is now with the Chicago Bears. Peterson will not only be a beast running the ball without the competition of a formidable running back, but he also figures to be a regular recipient of Favre’s screen passes, and I do not think opposing teams want to see this guy in the open field. 1) Issues at wide receiver? Vikings’ lead receiver and favorite target of Brett Favre last season, Sidney Rice, will miss at least the first half of the season. Moreover, dynamic 2nd year player, Percy Harvin, who set a Vikings single-season record for yardage in his rookie campaign will be hit and miss all year with his well-documented migraine headaches. The Vikings recently brought in possession receiver Greg Camarillo (via trade w/ Miami) as insurance policies. 2) Difficult schedule. 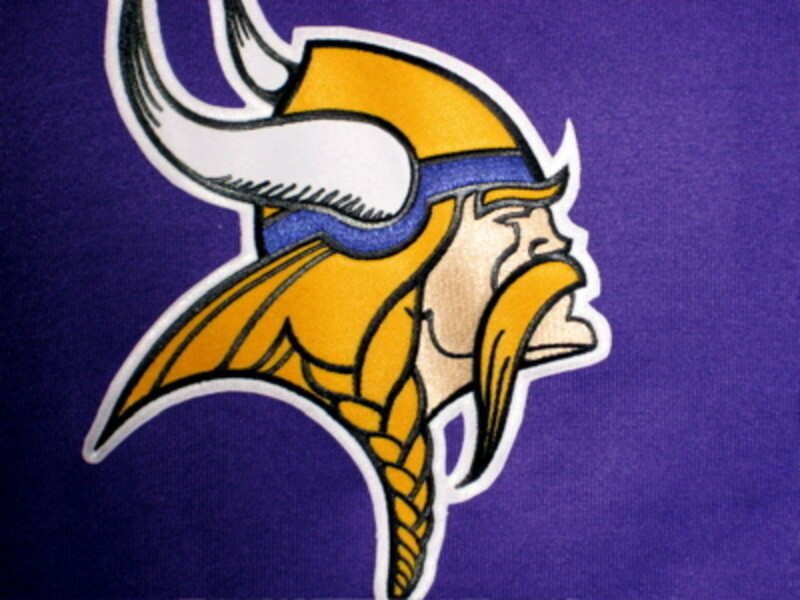 The Vikings play the Packers twice and also have formidable match ups against the likes of the Saints, Jets, Patriots, Cowboys, Eagles, and Redskins. 3) Favre is one year older. The offensive line will be heavily relied upon to protect their Hall of Fame quarterback. We know the left side of the line is as good as it gets with pro bowlers, Steve Hutchinson and Bryant Mckinnie, but the cohesion of the rest of the line is a big question mark. You can also bet that teams will follow the blueprint laid out by the Saints in the NFC Championship game by sending the house after Favre on a regular basis. 4. Baltimore Ravens – Known almost solely for their ferocious defense for the last decade, it is the Ravens’ offense that people are raving about heading into this season. With the offseason acquisition of wide receiver Anquan Boldin from the Cardinals, and now the recent pickup of TJ Houshmandzadeh, the Ravens have more than filled the void of a much needed receiving threat to help their young star QB Joe Flacco, who impressed many with his improvement in his 2nd NFL season. The Ravens 2009 season was also highlighted by the emergence of running back Ray Rice into a superstar. Rice had over 2,000 all-purpose yards and figures to be one of the more productive NFL players yet again this season. If the defense can remain in the top one-third of the league, like they have easily done over the last 10 years, the Ravens should be able to uphold the top 5 expectations I have placed upon them heading into the season. This could be a challenge however, with the health of their future Hall of Fame/all-world safety, Ed Reed uncertain for the season. 5. New York Jets – Coming off a 2009-10 season that resulted in the over-achieving Jets making it to the AFC Championship and giving the Colts a run for their money, the Jets have had a newsworthy offseason—for the good and for the bad. The Jets made a splash this offseason by acquiring LaDanian Tomlinson, Antonio Cromartie, Santonio Holmes, and Jason Taylor amongst others. They will also enjoy the fruits of a full season with talented receiver Braylon Edwards. Now that AFC Defensive Player of the Year Darrelle Revis has ended his holdout, the Jets team is essentially loaded across the board. As a result, it may be the level of growth of their 2nd year quarterback Mark Sanchez that will determine whether the Jet’s Super Bowl aspirations will be realized. 6. Green Bay Packers – The Green Bay Packers head into the season with high expectations after a 2009 season that resulted in an 11-5 record and one of the top statistical offenses and defenses in the NFL. This season, the Packers will face the challenges of a much more difficult schedule than last year and improving the offensive line’s protection of star quarterback Aaron Rodgers, who took a beating last season. Despite the lack of protection, Rodgers amazingly was the #1 fantasy QB last season and has shown signs that he can be even better thus far in the preseason, which certainly gives his fantasy owners and Packer fans high hopes for the 2010-11 campaign. Rodgers will continue to have weapons Greg Jennings, Donald Driver, and Ryan Grant at his disposal and the defense will be anchored by 2009-10 NFL Defensive Player of the Year Charles Woodson. With so many weapons, the Packers figure to not only give their old friends Brett Favre and the Vikings a run for their money in the NFC North, but are also projected by many to represent the NFC in the Super Bowl. 7. Dallas Cowboys – Many experts are giving the Cowboys a more favorable ranking than I am heading into the season because I will have to see it to believe it. Granted, the Cowboys are loaded with talent on offense with Tony Romo (QB), Miles Austin (WR), Marion Barber (RB), Felix Jones (RB), and Jason Witten (TE). The Cowboys also received the steal of the NFL draft, in my opinion, when super-talented wide receiver Dez Bryant fell to them at pick no. 24 in the first round. Bryant could very well be one of the top 5 receivers (or better) in the NFL within a few years. Regardless, the Cowboys have continuously fallen short in big games during Wade Phillips’ tenure as head coach and will have to make it through perhaps the toughest division in football if they are to have any shot at being the first team to ever play in and host a Super Bowl in the same season. 8. New England Patriots – Much like the Indianapolis Colts and Peyton Manning, the New England Patriots have been, and figure to always be, a Super Bowl contender as long as Bill Belichick is their coach and Tom Brady is his quarterback. The successful duo has won three Super Bowls together as the Belichick regime has demonstrated a keen ability to plug new players into their system and still maintain their high level of success. Some say this Patriots team however may not be talented enough to be contenders, especially on the defensive side of the ball where they figure to fall into the middle of the league rankings. The pressure will be on the Patriots explosive offense to carry the load. The speedy return of workhorse WR Wes Welker to 100% from a torn ACL and MCL suffered in week 17 last year will be paramount to the team’s success. Miraculously, Welker is on track to play in week 1, but one has to wonder if it is possible he can be 100% from an injury that takes many athletes a year to recover from or if he can be even close to the player who has caught 112, 111, 123 passes in each of the last three respective seasons. To put Welker’s importance into perspective, those totals are 3 of the top 20 pass-catching seasons in NFL history, and the Patriots resembled a mere fraction of themselves in an embarrassing home loss to the Ravens in the first round of last year’s playoffs in his absence. With the aging of many of their key players, the health of the team will go a long way in determining their fate this season. Which Offseason Acquisition Will Make the Biggest Impact With their New Team? 9. Cincinnati Bengals – The Cincinnati Bengals head into the 2010-11 season with high hopes, coming off last season’s surprising AFC North title. Much of the credit for the Bengals’ success of last season was their defense that ranked near the top of the NFL and the solid production by running back Cedric Benson in his first year with the team. In 2009, the Bengals ranked near the bottom of the NFL in passing. To shore up this problem, the Bengals signed controversial receiver and reality TV star Terrell Owens, who will join fellow controversial receiver and reality TV star Chad Ochocinco. Whether this talented, hot-dogging combination of stars proves to be a perfect marriage or a locker room disaster will go a long way in determining the level of success the Bengals will enjoy this coming season. One thing is for sure, quarterback Carson Palmer has all the weapons he could ever ask for, but along with that in this case is also the responsibility to spread the ball around and keep some big egos happy. 10. San Diego Chargers – Although the Chargers have been one of the better NFL teams of the last few regular seasons, they enter this NFL season with many questions. Will star wideout, Vincent Jackson hold out the entire season, as he has been threatening to do? Can the pass-heavy Chargers be successful with Malcom Floyd as their projected #1 receiver if Jackson does hold out all season? Can the Chargers survive with rookie Ryan Matthews taking over at running back for now departed future Hall of Famer LaDainian Tomlinson? 11. Miami Dolphins – The Dolphins have been on a roller coaster ride over the last few seasons. After an abysmal 1-15 season in 2007, the dolphins vastly improved into a 11-5 AFC East Champion in 2008 with their institution of the wildcat offense. Last year, the Dolphins took a step back by missing the playoffs with a 7-9 mark. The Dolphins’ could have been better had their all-purpose back Ronnie Brown not gone down to injury in the middle of the season. The Dolphins figure to make their way back to being playoff contenders in the ’10-’11 season: with the return Ronnie Brown; the emergence of Chad Henne into a worthy NFL starting QB; and most notably, with their offseason acquisition of Brandon Marshall, who is one of the elite wide receivers in the NFL. 12. Atlanta Falcons – Like many, I have the Falcons as a bit of a sleeper this year after their ’09-10 season in which they regressed. I like the fact that the 2010-’11 season marks a new beginning for running back Michael Turner, who missed 5 games last season due to injury. As a result, Turner produced over 800 yards less than he did in his spectacular season of ’08-09. The Falcons have the talent to do good things on offense with Turner, Matt Ryan, Roddy White, and Tony Gonzalez leading the way; however, the Falcons will need to improve upon their 28th ranked pass defense last season. I can see the Falcons being a borderline playoff team this season. 13. Houston Texans – Can this finally be the year the Texans get over the hump and overtake the Colts in the AFC South, or at least make the playoffs? It seems that has been the question for this team the last few seasons. I think they have a solid shot at the playoffs, but are not yet at the point where they can overtake the Colts. The Texans were ranked #1 in the league last season in passing offense thanks to Matt Schaub and Andre Johnson. I do not see them falling too far down the league rankings in that area, but they must improve on their 30th ranked rushing offense of last season. That will be the job of Arian Foster, who showed signs of great potential in the Texans’ last two games of ’09-10. Throw in playmaker, Steve Slaton, and the Texans could have a “Great” offense this year and will hope to improve upon a defense that was middle of the pack last year. 14. Washington Redskins – Some may say I am going out on a limb by ranking the Redskins this high, considering they won 4 games last season and may have the toughest schedule in the NFL this season. What can I say though? 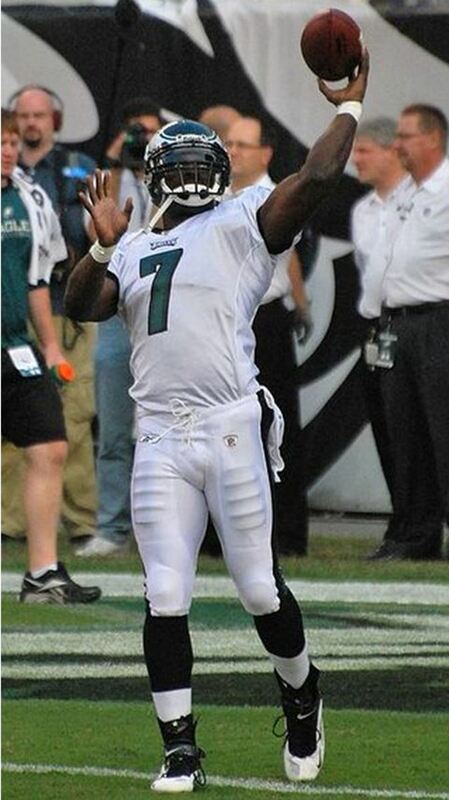 I think the addition of Donovan McNabb at QB is a massive upgrade over Jason Campbell. The ‘Skins also added two-time Super Bowl winning coach Mike Shanahan and are very deep at the running back position. Although the ‘Skins defense had a so-so rating last year, I blame much of that on their futile offense. I think the ‘Skins will have the best win improvement in the league and contending for a playoff spot in the NFC. 15. San Francisco 49ers – Following the mentality of their coach, Mike Singletary, the 49ers are a “tough” football team that showed some improvement last season. The Niners will have one of the top rush defenses in the league and have some talent on offense with Frank Gore, Michael Crabtree, and Vernon Davis. Perhaps the best thing however for 49er fans is that their division is the worst in football, playing with Arizona, Seattle, and St. Louis. I look for the 49ers to win the NFC West almost by default and then get handled in the first round of the playoffs. One thing is for sure—this will be a make or break season for former overall #1 draft pick, QB Alex Smith. 16. New York Giants – The Super Bowl Champs of ’07-08 were essentially “average” in every which way last season. In the absence of any significant offseason additions and considering their difficult division, I don’t see any reason to place them higher or lower in these rankings. 17. Pittsburgh Steelers – The Steelers went from Super Bowl Champions in ’08-’09 to missing the playoffs all together last season. With the 4 game suspension of Ben Roethlisberger and the loss of wide-out Santonio Holmes, the Steelers will be in for an uphill battle once again this season. We know the defense should be fairly good (like usual) led by Troy Polamalu, but the question remains as to what they have to get them by offensively? I do not think emerging running back Rashard Mendenhall will be enough. 18. Tennessee Titans – The Titans have a few things going for them. First, Chris Johnson, who rushed for an astounding 2,006 yards (5th most in history) at a 5.6 yard per carry clip last season. This season, CJ2K has set a goal for himself of 2,500 rushing yards, which will not happen, as that would be 400 yards more than the previous NFL record, but one has to admire Johnson’s confidence. Second, the Titans started last season 0-6 before turning it around with a quarterback change to Vince Young, who helped the team finish the season on a high note with an 8-2 record. As a result, there is a reason for optimism in Tennessee. All together, I do not think the Titans will be either the 0-6 team that started last season, or the 8-2 team that finished last season; rather, I think the Titans will be more like the 8-8 caliber team that their final record indicated last year. 19. Philadelphia Eagles – The Philadelphia Eagles have enjoyed success over the last decade plus, making 5 NFC Championship games in the McNabb era, but the 2010-11 season will mark a new era in Philly. Out with Donovan McNabb and Brian Westbrooke; in with Kevin Kolb and LeSean McCoy. Many people are optimistic about the youth movement in Philly, but I am not one of those people for this year at least. 20. Seattle Seahawks – Potential sleeper? I would have said perhaps up until they made plans on releasing wide receiver T.J. Houshmandzedah. “Housh” has been one of the more productive wideouts in the NFL over the last 5 years and is only 32 years old. Regardless, this will leave the Seahawks with Mike Williams, who has been a bust to this point in his career, and Golden Tate leading the youth movement at receiver in Seattle. I also do not see any discernible running game, as nobody topped 700 rushing yards last season and a bottom 1/4 of the league caliber defense. I like QB, Matt Hasslebeck, but this may prove to be a rebuilding year that will be orchestrated by former USC Trojan coach, Pete Carroll. 21. Denver Broncos – The Broncos began the Josh McDaniels era in Denver with a shocking 6-0 start last season, only to come back down to earth and then collapse all together by ending the season 8-8. Things have only continued to get worse in Denver as they traded stud wide-out Brandon Marshall to the Dolphins and lost 2009 NFL sack leader Elvis Dumervil for the season. The one interesting thing regarding the Broncos this season will be how they utilize unique rookie QB Tim Tebow, who is one of the most successful players in collegiate football history. If the Broncos struggle as much as I assume they will, they should have ample opportunity to see what Tebow has to offer at the NFL level. 22. Chicago Bears – The Bears have the potential to make some noise coming off a rough season. Everything went wrong for the Bears last season. They brought in Jay Cutler thinking he could progress into being an elite QB--he ended up leading the league in interceptions. Matt Forte was proclaimed by many to be one of the emerging backs in the NFL—he ended up only averaging 3.6 yards per carry with a mere 4 touchdowns. Finally, the always reliable defense was not so reliable after Brian Urlacher went down early in the season to injury. This year the Bears added one the best DE’s in the last decade Julius Peppers to help their defense regain their once dominant form. With the return of Urlacher, coupled with better performances by Cutler and Forte, the Bears do have the potential of being a surprise team this season. Do I think they will put all of those things together and reach that potential? Not necessarily. 23. Arizona Cardinals – The two-time defending NFC West Champs have a different look this year—and that’s not a good thing. Future Hall of Fame QB Kurt Warner retired and talented wide-out Anquan Boldin is now on the Baltimore Ravens. With Derek Anderson now the starting QB, expect Arizona to transition from the pass-heavy team they have been in recent years into a team that utilizes their solid duo of Beanie Wells and Tim Hightower in the running game. The Cards also still have one of the elite wide receivers in football in Larry Fitzgerald, but this figures to be a rebuilding year, considering the voids that need to be filled and a poor defense--even in the weak NFC West. 24. Detroit Lions – Believe it or not there is some reason for optimism in Detroit after several consecutive woeful seasons. One may say that a 24th ranking is not indicative of optimism; however, considering the Lions have won a total of two games in the past two seasons (yes, 2 wins in 32 games!) the likes of young potential future stars Matt Stafford, Calvin Johnson, and rookie Jahvid Best give the Lions potential for a dynamic offense. I can’t believe I just said that. On the other side of the ball, the Lions will undoubtedly reap the benefits from rookie and #2 overall pick DT Ndamukong Suh will provide the Lions with everything they have needed for a long time in terms of skill, power, toughness, and nastiness. The latter of those attributes was evident when he tried to rip Browns QB Jake Delhomme’s head off in a preseason game. Suh is a beast who could be one of the best the league has seen at his position for a long time. The Lions could surprise some people this year. 25. Jacksonville Jaguars – Unfortunately, there is not much to talk about when it comes to the Jags outside of all-purpose back/ fantasy football beast Maurice Jones-Drew, and there are even some slight injury concerns regarding his status heading into the season. Speaking of fantasy, Mike Sims-Walker is a nice young receiver for fantasy fanatics to keep an eye on this season, but in reality the Jags figure to be mostly forgotten about this season. 26. Kansas City Chiefs – With 10 wins total in the last three seasons, the Chiefs are making efforts to turn it around as they have some pieces with QB Matt Cassell, WR Dwayne Bowe, and RB Jamaal Charles. I just don’t think they are there yet as a team that can turn the corner. Their defense was one of the worst, if not the worst, in the league last season and I don’t think they can improve enough as a team to become a winning team yet. 27. Oakland Raiders – The Raiders have not won more than 5 games in any season since they lost the Super Bowl in the 2002-2003 season. Personally, I don’t see much to like about the team once again this season, but I would not be surprised to see them break through for 6 wins this season. It’s just hard to believe they have not been able to manage that feat for so long. Either way, I’ll go with the push at 5 wins. 28. Buffalo Bills – I am not sure what the Bills are doing. They do not have any solid options at quarterback, as they were 30th in the league in passing last season; yet, they passed on the likes of Jimmy Clausen, Colt McCoy, and Tim Tebow in the draft. Furthermore, they drafted running back CJ Spiller when that was the only position the team was solid at with Marshawn Lynch and Fred Jackson. Don’t get me wrong, I think CJ Spiller will be an absolute monster at RB for years to come but the Bills are overloaded in the backfield and have nothing else. They also decided not to bring back Terrell Owens, but then again, why bring him back when they could not utilize him properly last season. It is bound to be a rough season in Buffalo. 29. Carolina Panthers – There is not much to like about the Panthers other than their core of solid running backs Jonathan Stewart and DeAngelo Williams. That could be good news for rookie quarterback Jimmy Clausen, who could land the starting gig as a rookie once the Panthers are out of it—which should only take a couple weeks. The Panthers are the youngest team in the NFL. 30. Cleveland Browns – My heart goes out to the city of Cleveland and their passionate sports fans. First, they lose LeBron James during the summer and now they have to endure another Cleveland Browns season. 31. Tampa Bay Buccaneers – Coming off a 3-13 season, it would be a stretch to believe the Bucs will improve upon that lowly number this season, as it is difficult to find any strengths in this team at the time being. The Bucs finished in the bottom third of the league in most statistical areas last season, and without any major additions in the offseason, the Bucs are likely to be in for another long and rough season. 32. St. Louis Rams – The Rams are coming off a dreadful 1-15 season, where they ranked around the bottom of the league in nearly every statistical category. Not to mention the average score of their games was 27-11. That kind of futility has rarely, if ever, been seen in the NFL. The Rams drafted Sam Bradford with the #1 overall pick in the NFL Draft and have named him their starting QB. The problem is that Bradford is coming off surgery on his throwing shoulder, which ended his college career prematurely, and the Rams still drafted him #1 and gave him the most lucrative contract in NFL history in terms of guaranteed money—a move which could set them back several years if that shoulder does not hold up. At any rate, I would be very surprised if the Rams won more than two or three games this season. Thank you so much Wavegirl22 for your warm welcome and for visiting my first hub! I am glad you enjoyed it! Adrian was very good, but the team did not have enough plays to get him more involved or to better their chances at winning. It will be interesting this season to see if he has cured his severe ailment of fumblitis--so far so good! It appears as though you are a huge Jets fan. I think you definitely have a lot to look forward to. I was so impressed with their playoff run last season. As I expressed in this hub, I think they had a huge off season. They are really going for it this year. Paying Revis was Huge. It has been a long time since I can remember someone shutting down opposing star receivers like he did last season. I do think he will have a big magnifying glass/increased pressure on him this season though after his off season drama. We'll see how he handles it. Ultimately, I think Sanchez will be the key factor if they are to make a deep playoff run. Also, good points about the Rams. Steven Jackson is a stud, who never gave up last season. The Rams had nothing to play for and he still was a workhorse and almost entirely carried the load on offense, all while playing injured much of the season. He would be incredible if he played for as much as a decent team. Kudos to him for his heart and professionalism. I think it is also huge for his teammates to have seen that because it rubs off on them as well. Maybe it can carry into this season. I do believe the team had the heart, but just lacked in the talent last season. The NFL is a tough league. Lake Show - Welcome to Hubpages! Always a special moment when a new NFL fan comes into the fold. And from your first Hub on the 2010 rankings, I can see and I look forward to many more great football hubs from you. Sorry about your Vikings last night but you gotta give some serious love to Adrian, looked like his coaches worked him well and loaded some heavy duty stickems on him. He was holding the ball for dear life and he looked good doing it! Im loving Rex Ryan and I admit to a happiness cry while watching the last episode of Hard KNocks seeing Darrelle back in the house, its going to be a Jet season like none other. As for the Rams, I think the may surprise many this season, forget about Sam and the arm and lets focus on Steve Jackson and all the heart that this team showed last year, week out they lost and then they lost some more, but they came back out and played their hearts out, and they played hard and yes they played with heart, and they did if for one of the greatest coaches ever, SPags. Not sure where I am ranking them but last in the barrel , well we shall see and I do hope that I prove you wrong on this one.Thumbs up,awesome first Hub! Ugh. I am slightly disappointed in my Vikings laying an egg tonight, although it was somewhat expected. They will rebuild that chemistry as the season progresses, much like they did last season. Thanks Godwin. Yes, I have received some flack for rating the Chargers at #10 considering their success over the last few years, but I think a lot of that is attributed to the weak division they play in. They always end up with a great regular season record and then make an early exit in the playoffs. I guess I'm not sold on coach Turner and their lack of a receiving core while Vincent Jackson is suspended/holding out. It will also be interesting to see how they fare with starting a rookie running back. I do think they needed to start over at that position however as they were at the bottom of the NFL last year in rushing offense. Thank you for stopping by. I look forward to reading your NFL article. Interesting you think the Chargers are that low. Still, a great article and one that convinced me to follow you. My Review should drop sometine today with in depth details of all 32 teams. Thank you everyone for your warm welcome and kind comments!The Steelers could very well prove me wrong. I know there are quite a few people who think they will do great things this year. I guess I am just not very encouraged by them after missing the playoffs last season. Combine that with the fact I also think Big Ben is very important to their success. A lot of things have changed for the Steelers through their last two Super Bowls and up until now --Big Ben along with Hines Ward have been the constants. My predictions: the Steelers do better than you're expecting, even with Big Ben gone for 4 games (he's not a game-changing QB like Manning anyway). You're spot on with the Bills, although they'll trade Marshawn Lynch before week 4 to allow Spiller and Jackson to split more carries. They won't go winless, but they'll struggle to win 4 games. Hi, this is an extensive review of what to expect this year, I am rooting for Steelers, but I do agree with your analysis about the team. Let us see. Cowboys, hmmm, I live near here so good luck to them, maybe fans will cheer them up and they will have more chances. they have good players. Good first Hub article. Look forward to reading more from you.